Now you can practise your rhythms or try out new combinations on your smart phone or tablet with lots of apps which cover Middle East / Turkish percussion. Whilst probably not as useful as a DVD many of these apps can be fun, a good resource and are usually very cheap or even free. Scroll through the Apps and move cursor over the area to pause. by Yakamoz Internet Teknolojileri ve Danismanlik Ltd. 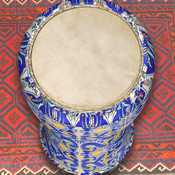 The darbuka is a goblet shaped hand drum used mostly in Turkish, Arabic, Assyrian, Persian, Balkan, Greek, Armenian and Azeri music. Goblet drums have many names according to location and language. 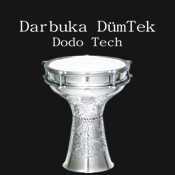 Darbuka is the the Turkish name. There are two main sounds produced by the goblet drum. The first is called the "doum" and is a deep bass sound produced by striking the head near the center. The second is called the "tek" and is the higher pitched sound produced by hitting near the edge of the head. 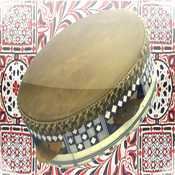 This application has 8 darbuka sound effects consisting of a mix of "doum" and "tek" sounds. You can play your iPod music in the background while using this application and accompany the song. 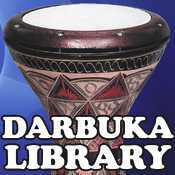 The Darbuka Library is a collection for darbuka drummers that contains over 550 rhythms. Darbuka Library will teach you drumming rhythms, from many countries (Egypt, Turkey, Saudi, Iran, etc). It also contains a lot of stylistics and rolls. 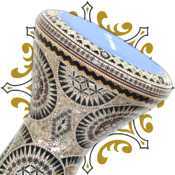 The Darbuka is also called Doumbek, darbuka, derbake, derbuka, derbouka, derbake, dumbek, tabla, tablah. 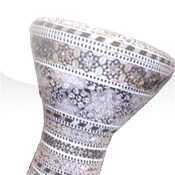 The darbuka is a goblet shaped hand drum used mostly in the Middle East, North Africa, and Eastern Europe. Turn your device into a darbuka drum that you can play with your fingers. 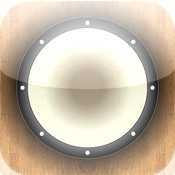 Turn your iPhone or iPod Touch into a darbuka drum that you can play with your fingers! Create amazing beats with top quality, realistic sound. And get really jamming with original Oriental background beats! 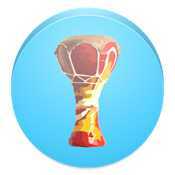 Entertain friends and family with this fun application - everyone will get a kick out of iDarbuka! 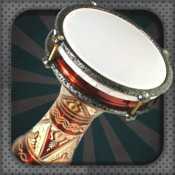 Turn your IPAD into a darbuka drum that you can play with your fingers! DrumBouka is a game designed to teach its players Middle Eastern Rhythms while having loads of fun. The Game Mode consists of three sections (Beginner, Prof, Prodigy) each having 16 progressively harder rhythm questions.The player is asked and played a rhythm question and then expected to mimic the rhythm by pressing the correct sections on the screen in a timely manner. Depending on your timing, a score is assigned for each question making up your total DrumBouka score. Each time a new high score is reached, it is stored in game center therefore enabling the users to compete with other players all over the world. The Solo Mode presents the player with the capability to configure various rhythm sounds to the three available Middle Eastern Instruments (Darbuka, Def and Bendir) and play your favourite rhythms even make up a rhythm of your own !!! 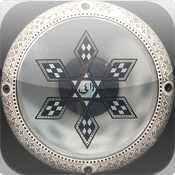 THE BEST DARBUKA / DOUMBEK APP EVER MADE. 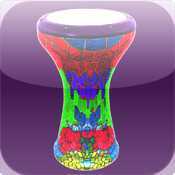 This app teaches you all the rhythms of Darbuka in live play mode. 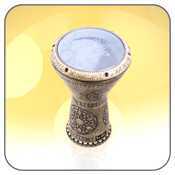 Darbuka Doumbek Professional by Arab Instruments contains 24 sounds professionally recorded at different velocities. It has a wide library of rhythms (egyptian, lebanese, turkish, persian, etc.) and super dynamic interface. Get ready for an amazing drumming experience! All the recordings are done in a professional studio using a professional Darbuka. 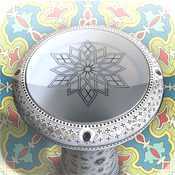 The Darbuka Doumbek drum (also known as goblet drum, chalice drum, derbake, dumbek or tablah) is a hand drum with a goblet shape used mostly in the Middle East, North Africa, and Eastern Europe. A simulator of the Oriental Arabic drum instrument that allows you to play the notes of the drums on the go. In your car, at a party, on a gathering, or during a picnic let it be anywhere and anytime. Playing the drums have never been easier! Spice up the beat by clicking on the special "zaghrouta" or shake your drums for a "tesh"! DumTek is a Middle Eastern rhythm generator for learning new rhythms, or practicing ones you already know. It's also great for belly dancers to get a solid rhythm to learn new moves. Middle Eastern music has a different feel than western music, and a standard metronome doesn't always work well. Having something to drum along with can really help lock into the feel of an unusual pattern. DumTek knows about several popular Middle Eastern rhythms, such as Ayyuub, Karatchi, Maqsum, Sayyadii, Bolero, Masmoudi, Chiftiteli, Malfouf, and many others. Future releases will provide additional rhythms as well as a method to enter new ones and hear them played. The name DumTek comes from two of the three basic sounds a Dumbek makes: Dum, Tek, and Kah. The audio samples are from a drum owned by the author. Spelling of these rhythms is a common topic of debate in the US drumming groups. I will standardize as best I can on the accepted spellings, once they are standardized. Doumbek! 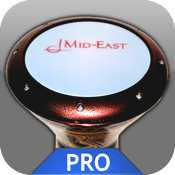 is the most realistic and comprehensive drumming app for this popular and ancient Middle Eastern drum. Professionally recorded 44.1 khz high fidelity sounds combine with the latest technology to produce the ultimate Doumbek app! Doumbek! features 6 different doumbeks to play, including an Egyptian Doumbek , a Doumbek with jingles, and small, medium and large Doumbeks. There's even a unique Doumbek "jam" that allows anyone to easily sound like a pro! With the ability to adjust reverb, pitch, and delay, and more, it's easy to create your ideal sound. Doumbek! also features record/playback/loop with multi-track capabilities; play along to dozens of unique drum beats, music loops and metronome sounds from within the app; or play to your favorite music on your iPod. You can also share your drumming via email, Facebook, and Twitter, or export to your computer via iTunes file sharing (with optional in-app purchase)! Another great feature of Doumbek! 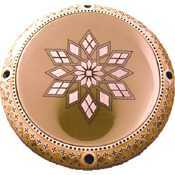 is the ability to play the Doumbek with a variety of other drums and percussion, including Tabla, Pakharaj, and Tambourine. A unique addition to Doumbek! is the ability to choose any color you desire for the drums, with an easy-to-use slider adjustment. The Doumbek responds to your touch, and the volume changes depending on how hard you tap the drum, just like a real Doumbek. The pitch also changes slightly depending on where you hit the drum. Playing realistic rolls is as easy as swirling your finger around; the roll speed corresponds to how fast or slow you swirl your finger. Beginner or pro, to save and to share.....now anyone can play Doumbek!.......anytime, anywhere! ★ The harder you hit the drums, the louder they sound! ★ 22 Ethnic Drum Beats and 12 World Music Beats to play along to, with more to come! 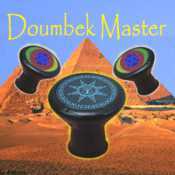 Doumbek Master (v3.0) allows you to play one of the world's most popular percussion instruments on your iPhone and iPod Touch, the doumbek! The doumbek, also known as the goblet drum or darabuka, is commonly used in the Middle East, but has found a place in the music of such legendary bands as The Beatles, The Rolling Stones, and The Who. The doumbek is now in your hands. You can play the instrument, which features authentic sounds that can be played in different areas on the drum, corresponding to their actual locations on a real doumbek. As you play the drum, different backgrounds whisk you away to a different world and inspire your artistic creativity. You can even play the doumbek along with a song from your iPod Library! Learn beginner doumbek technique and traditional Middle Eastern rhythms with Carmine T. Guida. The hour long instructional video inside this app breaks down the basic hits "Doum", "Tek", and "Ka" and introduces you to your first rhythms: Maqsum, Baladi, Saidi, Ayub and Çiftetelli. Filmed live in three different locations, this DVD captures Carmine's enthusiasm for teaching and his ability to make drumming accessible to everyone. Carmine is an accomplished instructor, teaching doumbek both nationally and internationally. His students compliment his lively and engaging teaching style and his ability to make complex technique and intricate rhythms easy to learn. Located in New York City, Carmine is a member of several music ensembles including Middle Eastern fusion group "Djinn" Carmine has been featured as a musician on several other CDs and DVDs and his music can be heard on several TV shows and Documentaries. Get a Drum and a Belly Dancer on your iPhone! What about a pair of finger cymbals too?! Tap on the Drum or the Finger Cymbals and the Belly Dancer will dance with the beat! This application comes with 10 different drum beats and 2 finger cymbal sounds. You can customize which area of the drum/cymbals play which sound using the preferences page. Here is how the default configuration works: tap on the center of the Drum, and you will get the base (or "Doum") sound. The upper left corner of the drum will play a "Roll" and the three other corners will play 3 different "Tak" sounds giving you 5 different beats. You can switch from the Tabla Drum to the Digital Pad Tabla using the preferences to have access to all beats at the same time. For best sound quality, connect your iPhone/iPod touch to external speakers or headphones. You can play your iPod music in the background while using this application and accompany the song! Classic Turkish Drum simulator with authentic rhythms. 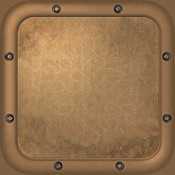 Tap drum to play it yourself or shake to activate rhythms. Take advantage of embedded alarm clock to wake your friends up in the morning. 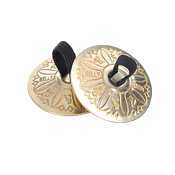 The Riqq is a type of tambourine used as a traditional instrument in Arabic music. It is an important instrument in both folk and classical music throughout the Arabic-speaking world. This application provides a Riqq with 5 different sounds. Tap on the Riqq to play Doum, Tak, Tek and Pa. Shake your iPhone/iPod Touch for the jingles. Frame Drum! is the fun and easy way to play many different types of frame drums, including Bendir, Duff, Tambourine, and many more. Perfect for both beginners and pros alike, Frame Drum! utilizes the latest technology and decades of real frame drum experience to create the ideal frame drum app for the iPhone or iPad. All of the features of the app combine to make you feel as if you are playing a real frame drum. There are 8 different single drum layouts to choose from- Bendir, Dirty Duff, Duff, Frame Drum, Large and Small Frame Drum, Tambourine, and Tambourine Jam. There are also 3 different 2 drum layouts- Small & Large Frame Drum, Bendir & Dirty Duff, and Tambourine & Frame Drum, with more to come. Featuring unique touch sensitivity, the sound volume varies according to how hard you hit it, just like a real drum. The pitch changes slightly depending on where you hit the drum as well, and realistic graphics and visual effects combine to enhance the experience. Playing realistic rolls is as easy as swirling your finger around, simply adjusting the roll speed by how fast or slow you swirl your finger. Other features include pitch, sensitivity, reverb, and delay adjustments, multi-track recording, ability to share and export your recordings (optional in-app purchase), and so much more. Frame Drum! also includes 16 PlayAlong Beats, 13 unique Percussion Beats and 10 Music Beats to play to, as well as 15 different metronome sounds to choose from. ★ Touch sensitivity - The harder you hit the drums, the louder they sound! ★ 13 Percussion Beats and 10 Music Beats to play along to, with more to come! ★ PlayAlong Beats: 16 new loops with basic bass drum, hi-hat or snare beats, to play along for added rhythmic expression! Rhythm is the heart and soul of bellydance. The drumming and the dance are inseparable. Middle Eastern rhythms are rich and complex. Rhythm ID makes it easy to learn and remember Middle Eastern rhythms using the time-proven tradition of test-taking to drill the knowledge home. It can be difficult for new dancers to detect the rhythm in a piece of bellydance music. And yet knowing the rhythms is a crucial part of becoming a good dancer. This app will help you train your ear to identify the rhythms with greater depth. For drummers, the ability to remember rhythms is even more important. This app can help drummers learn the nuances among the different rhythms. The key to becoming better at anything is practice, practice, practice. Rhythm ID will allow you to practice when having your drum with you is not practical. The ability to add new rhythms means this app will take you as far as you want to go. Scroll through the Software and move cursor over the area to pause. Introducing the new Tabla Like never before,12 Different instruments, New User Interface, New Sounds, New Colors, and much more! Hint: tap the Tabla Icon to change the instrument. ✓ Arabian Drums sound maker. ✓ 12 different Drums with new sounds. ✓ Nice Hall of fame window to show your best score. Hint: Swipe left or right to change the background colour. 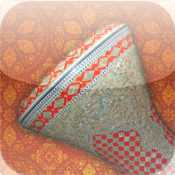 This is the best Darbuka app on Google Play activated by touch. 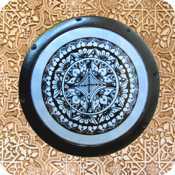 Turn your device into a high quality Darbuka. Connect your device to external speakers to enhance the experience. This tabla application is where you will enjoy tapping on your android and make music. Combine the basic strokes of tabla by tapping with your fingers in various configurations and speeds to different places of the tabla. You can play darbuka as you wish with 2 different playable options or you can listen some example darbuka solos. 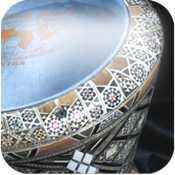 Play darbuka drum (doumbek) on handset, tablet! The goblet drum (also chalice drum, darbuka, debuka, Kratom, doumbek, dumbec, or tablah) is a single head membranophone with a goblet shaped body used mostly in the Middle East, North Africa, and Eastern Europe. The African djembe-wassolou is also a goblet membranophone. 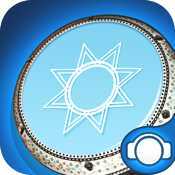 This app lets you play with a small North-African darbuka drum. Hitting the drum on your phone touchscreen with your fingers will make exactly the same sounds as the real goblet drum. 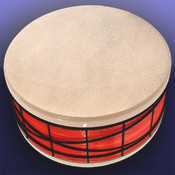 This hand drum has a thin drumhead, which helps to produce a distinctively crisp sound, and a chalice cavity that helps to obtain a bass resonance. Traditionally, goblet drums may be made of pottery, wood, or metal. 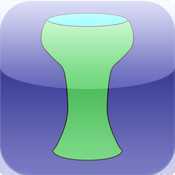 The darbuka this app is based on is made of pottery. The bottom is open, and the goat skin drum head is directly attached with glue and threads. The origin of the term darabukka probably lies in the Arabic word darba ('to strike'). The original use of goblet drums in Babylonia and Sumeria dates from as early as 1100 BCE. The Eastern and North-African goblet drums are played under the arm or resting on the player's leg, with a much lighter touch and quite different strokes (sometimes including rolls or quick rhythms articulated with the fingertips) than hand drums such as the djembe, found in West Africa. There are a variety of dumbek rhythms that form the basis of the folkloric and modern music and dance styles of the Middle East. Are you bored of usual drum set app or drums pad? 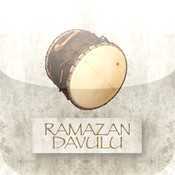 Try something new and launch Darbuka Drum free app. 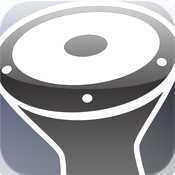 No more Metal Real Drum and Best Drum Kit music make app. 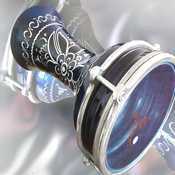 Surprise everybody around you with unusual music instrument - Darbuka Drum. It's simple. Just tap and play your own music melody. This is an app created for bellydancers so they have the rhythms they need anywhere, anytime. You can hear every rhythm with zills. The purpose of this app is not to learn you how to play the rhythms but to help you remember them.